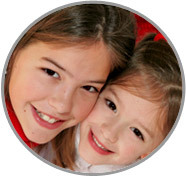 ABC Nanny Source is a Manhattan Nanny Agency Providing Career Nannies! "What impressed me the most about finding a Manhattan Nanny Agency we chose ABC Nanny Source due to the level of detail and organization in which such confidential information was presented. When we started our nanny search, I received an extensive profile for each NYC nanny candidate before the interview. Once each nanny arrived at my door, I was fully relaxed because I felt I already knew the person in front of me ~ that is how detailed these profiles were! The process was made very easy for our family with this nanny agency and within a matter of days, I hired the perfect nanny for our children!" Myleen loves being a part of ABC's Manhattan Nanny Agency! "I am a lovely person who is very energetic! I love being a nanny because being around the happy, positive energy from a kid just brightens my day. I’m looking for a family that I can be more then just a nanny, but a family that I can become a part of the family! I have been serving in some form of childcare experience for over 4 years and can honestly say I love what I do! I feel the children are a special gift from heaven! My goal as a Nanny is to bond with the kids and be the best role model I can be! I am willing to do housekeeping that includes washing dishes, sweeping after the kids mess, etc. If I had to describe myself in five adjectives I would say that I am loving, kind, caring, friendly, and energetic. Activities that I would like to incorporate in the daily plan for the family I care for would include learning activities, story time, outdoor activities, etc. If asked to describe the perfect family seeking a Nanny like me I would hope they would be loving and a caring family with open arms to welcome me in her house and family!" "I have known Myleen for approximately three years now, and the passion she has for kids is remarkable. I can recall a time when Myleen used to care for my sibling at the age of two and eleven years old. Myleen was able to supervise them both while not being in the presence of their parents. She was able to clean up after them while also assisting with chores, assisted with academic curriculum, she was able to cook, and even allotted sometime for leisure. I’m convinced that Myleen will be able to monitor any child on this planet because of her extraordinary characteristic." "Myleen always went the extra mile in going out her way for the company. Myleen was the best employee I had, she was a great help in the company! She always did her job. She is a very energetic person, always making the kids smile and laugh. The kids loved having her around! I’m sure she will be as great of a help as she was for me!" "I would like to be a direct reference for Myleen for ABC's Manhattan Nanny Agency. My daughter Yuliana was under her care for approximately 6 months. Yuliana obtained lots of knowledge in the process. Duties and other tasks included taking the child to the local recreation areas. She also did plenty of learning activities. Myleen was not in charge of any home duties while she watched my child; food preparation was very minimal as well. All food was pre-cooked for her so there was more time to spend with my child. We discontinued Ms. Seri for the care of my daughter because I relocated to New Jersey at the time. I would, however, like to have her again at one point for my next child even though its very unfortunate of the distance." "It is with great pleasure that I write this letter of recommendation to Myleen. Myleen has always displayed a high degree of maturity and responsibility. She loves children and they love her too. She helped me take care of my children is tasks such as: assisting them take a bath, preparing them a meal, picking them up form school, and helping them do their homework, and having fun with them. Since Myleen has been taking care of my kids I have seen an improvement in their reading and math skills. In addition to her great qualities she possesses, she is a wonderful young woman. Myleen would be an asset to you as she has been to me and my family, and I am happy to give her my wholehearted endorsement to ABC's Manhattan Nanny Agency."